Researchers from the Faculty of Biology at Technion present a new technique for estimating the efficacy of antibiotic ‘cocktails’. 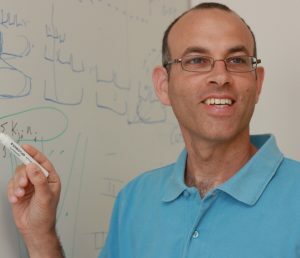 Researchers from the Faculties of Biology and Computer Sciences at Technion – Israel Institute of Technology in Haifa, have developed an innovative framework for measuring the efficacy of “antibiotic cocktails,” that combine different types of antibiotics. 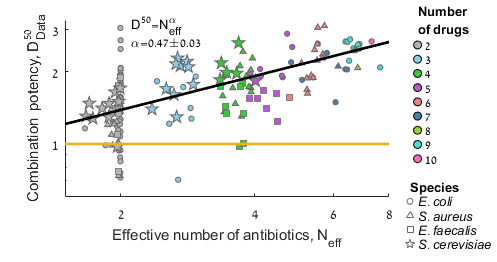 Published in the journal Nature Microbiology under the title, “Additivity of inhibitory effects in multidrug combinations,” their study shows how the efficacy of an antibiotic cocktail depends on the number of different antibiotics present in it. The research was conducted by Prof. Roy Kishony of the two faculties and doctoral student Dor Russ of the Faculty of Biology. Despite saving so many lives, the success of antibiotics has made it a double-edged sword. 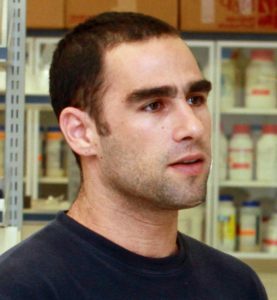 That is because the use of antibiotics leads to the evolution of bacteria resistant to antibiotics – a process that Prof. Kishony demonstrated in the past using a unique platform that he built with his colleagues at Harvard University. Today, many researchers express concern about a ‘post-antibiotic era in which bacteria will no longer be overcome by antibiotics. One of Prof. Kishony’s contributions in this context is a method for estimating the current level of resistance of a given bacterium to antibiotics as well as predicting the resistance it is likely to develop in the future. Based on this information, it is possible to prescribe the most effective antibiotics for the patient. The current study examined the efficacy of cocktails of various antibiotics. The researchers have developed an innovative, automated system that enables the accurate measurement of the effect of different combinations of antibiotics on bacteria. They found that when the number of drugs in a combination is increased, the total drug dosage required for growth inhibition increases as well, but the dosage of each individual drug can be decreased without reducing the cocktail’s efficacy. The researchers examined different combinations of multiple antibiotics on several types of bacteria, thus confirming the efficacy of this novel system which they developed. In the diagram: The total amount of antibiotics required for bacterial growth inhibition is increases as the square root of the number of different drugs in a cocktail. Each point in the chart represents a combination of two to 10 different antibiotics. When the number of different antibiotics in the cocktail is increased, the amount required from each of the drugs decreases (the slope of the graph α is less than one), while the total amount increases.